What it is: When Apple introduced ARKit at their developer’s conference, they helped make augmented reality accessible and commonplace. Pokemon GO was the first major augmented reality app that most people heard about, but the makers of that game had to create their own augmented reality code. With the introduction of ARKit by Apple in the summer, anyone can easily add augmented reality to their apps with little extra coding. ARKit essentially takes care of the hard part of calculating locations and identifying flat surfaces so your app can focus on supplying the augmented reality content. 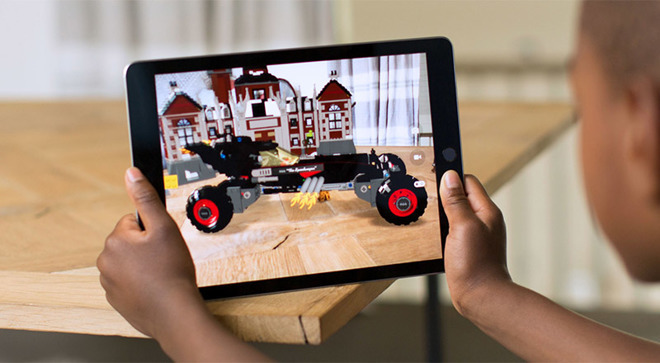 With ARKit, Apple introduced millions of people to augmented reality since it can run on the latest iOS devices such as the iPhone 6s. In comparison, most Android devices cannot run Google’s original augmented reality framework called Project Tango, which Google recently dumped to focus on a new framework called ARCore. The big problem with ARCore is that ARCore supported apps aren’t available in the same quantity as ARKit supported apps are on iOS devices. Once more Android devices support ARCore, you can expect more augmented reality apps to appear on Android so iOS’s lead right now is only temporary. However, the real key is how augmented reality will become commonplace on mobile devices. Once ARCore and ARKit become adopted by more developers, expect more augmented reality apps to appear simultaneously on iOS and Android. That means more augmented reality apps to push the public into accepting augmented reality as something as ordinary as voice-activated assistant like Siri. Augmented reality is going to move beyond games and simple gimmicks to practical applications. When people start relying on augmented reality apps for everyday use as often as people use driving directions, that’s when you’ll know augmented reality will no longer seem like an exotic technology but something that just works, much like the processor, the voice-activated assistant, or the touch screen on your mobile devices. To read more about Google’s attempt to bring augmented reality to Android, click here. Apple keeps trying to cut the cords on everything. Even their keyboards are mostly wireless now to avoid clutter. Plugging in a typical USB cable can be a nuisance because you need to get the orientation correct, which means you have a 50-50 chance of doing it. That design of the USB port makes no sense at all, which is why Apple designed the Lightning connector to work no matter which way you plug it in. That simply makes the cable easier to use than the traditional USB cable. Of course, cables themselves are annoying. That’s why the Apple Watch uses a wireless connector that latches on to the back of the Apple Watch to charge it. It’s sort of wireless, but not quite since you still need a wire plugged into the wall. Some companies offer wireless charging that lets you place a smartphone or tablet on a charging pad, which is still similar to the Apple Watch solution in that it’s not completely wireless. That’s why Apple has been researching true wireless charging, which is where you could plug in a charger and charge your device by placing it near the charger in the same room. This would let you charge your device without plugging it in or placing it on a charging pad. That’s the true goal of wireless charging and that’s where Apple’s latest patent hints all iOS devices will be heading. Wireless charging can only work if it adopts a universal standard. That way you won’t have to buy one wireless charger for an android smartphone and another wireless charger for an iPad. The key differentiator will be Apple will strive to make their wireless charger faster with a greater reach than standard wireless charger solutions. Apple’s patent creates a smart charger. Since a wireless charger can detect and charge multiple devices, Apple’s patent lets the charger focus on charging the devices most in need of power. That way the charger doesn’t waste time trying to charge a fully charged device. Wireless charging is coming this year if not the next. It’s inevitable so be ready to toss your cables away one day. Just as people are gradually adopting Apple’s Lightning connector for iOS devices, so will people gradually dump their Lightning cables for wireless charger in the near future. Wireless charging is the future along with batteries that can store more power and last longer over time. Perhaps the ultimate charger will be solar so you could charge a device just by putting it near light, but that’s much further in the future. Until then, look for wireless charging coming to the iPhone and iPad soon. To read more about wireless charging and Apple’s latest patents, click here. What it is: If you wear gloves in the cold, the touch screen of an iPhone or iPads won’t recognize your gloved fingertips. In many parts of the world, people have to endure cold weather where they need gloves to protect their hands. However, if you use ordinary gloves and try using your iPhone or iPad with gloves, it won’t work. That means you have to take your gloves off and expose your bare hands to the cold so the touch screen can recognize your fingertip. To avoid this problem, you need special conductive gloves. Some of these gloves offer conductive tips on all fingers but some only offer it on the index finger and thumb. 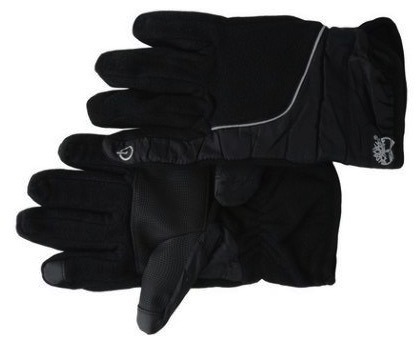 By using special conductivity gloves, you can keep your hands warm while using an iPhone or iPad out in the cold. In South Korea, people once resorted to using sausages as a stylus, which is another option if you want to carry around a frozen sausage with you during the day. Instead of using sausages, it’s probably better to use conductivity gloves, which cost around $25 a pair depending on the size and brand you choose. Of course, if you’re not out in the cold using your iPhone or iPad, any gloves will do. Even then, conductivity gloves make it nice to use your iPhone or iPad whenever you need it whenever you need to keep your hands warm, just in case you work inside a walk-in freezer or just a warehouse that’s perpetually chilly all the time. To read more about different conductivity gloves you can buy, click here. What it is: Differential privacy is a way to mine data without exposing the privacy of the people generating that data. In the world of artificial intelligence and machine learning, d at a is king. The more data you have, the more the computer can detect patterns and get “smarter.” That’s why the focus of most technology companies lies with collecting as much data as possible, which is why Google collects your personal browsing habits to make a better search engine. Because Google has so much data everyday, their search engine can get progressively more accurate over time, making it nearly impossible for competitors like Microsoft’s Bing to ever catch up. However, the huge drawback of most machine learning projects involves sending data to the cloud so a company like Google can use it. This cause two problems. First, such data collection requires an Internet connection. Lose that Internet connection and the device suddenly loses its artificial intelligence. Second, such data collection also reveals the activities of individuals. Essentially this means you’re willingly giving up your privacy to help companies like Google sharpen their machine learning algorithms. To avoid exposing users’ privacy, Apple uses something called differential privacy. The essential details is that differential privacy seeks to maximize data collection and analysis while minimizing the ability to pinpoint where that data came from. In other words, differential privacy protects your privacy. In addition to protecting your privacy, Apple is developing its own neural engine on a chip. So instead of relying on a data center to provide artificial intelligence, Apple’s products will use a neural engine to provide the artificial intelligence whether your device has an Internet connection or not. Apple’s approach to artificial intelligence is to protect your privacy while also making their devices smarter without relying on an always-on Internet connection. Whether this will prove better than current machine learning practices that send data to the cloud remains to be seen. As long as Apple’s solution is good enough while also protecting user privacy, it may be preferable than a “smarter” artificial intelligence device that exposes your activities so anyone (think the government) can examine your activities and use it against you. To compete, rivals like Google and Microsoft will need to develop their own artificial intelligence on a chip. Then again, they may simply keep doing what they’re doing and assuming people will willingly trade their privacy for results. Some people don’t mind giving up their privacy, but if you do, then you may be wary of other approaches to machine learning that does not use differential privacy. To read more about differential privacy, click here. What it is: More companies are using augmented reality to market their products and this will become the norm. In the old days, every business needed to be in the Yellow Pages. When companies started putting up their own websites, they no longer needed the Yellow Pages any more. At one time, the Yellow Pages contained practically every business in a region. Now most businesses find it’s far less expensive and more efficient to simply ignore the Yellow Pages altogether. It all boils down to marketing. When people relied on the Yellow Pages, businesses had to advertise there. When people relied on search engines and sites like Yelp, businesses have to advertise there. Where the customers go, the businesses must also go or risk falling behind. Imagine a restaurant without a website or Yelp presence, trying to advertise solely in the Yellow Pages. They would waste money on Yellow Pages advertising and attract few customers in the process. Now the latest technology that markets have latched on to is augmented reality. IKEA offers an augmented reality app that lets you place furniture in your house to see how it might look. Restaurants plan to offer augmented reality to let you view a menu and see actual images of different dishes so you can see exactly what you’re going to get. Augmented reality is fast changing from a gimmick to a necessity. Just as businesses can no longer rely on the Yellow Pages to reach customers, so businesses can no longer ignore augmented reality as a marketing tool because if they don’t do it, their rivals will, and that will make any company not using augmented reality look archaic and out of touch. With augmented reality catching on, iOS will be positioned to become the leader. That’s because most iOS devices can display augmented reality while most Android devices cannot. So if you ant to see augmented reality, you’ll likely have a better experience through an iOS device like an iPhone or iPad than through an Android smartphone or tablet. This means once people get familiar with augmented reality, they’ll expect it on their smartphones and tablets, and that expectation can only be met with iOS for the near future. Android will have to rush to catch up and it will just in time to avoid missing out completely like it’s doing now. But with its early lead, iOS will lead the augmented reality movement by making it easy for developers to create augmented reality apps and make it just as easy for iOS device owners to enjoy augmented reality apps. If you’re in marketing, augmented reality will be a must. As augmented reality moves from simple objects and games to practical applications, expect augmented reality to play an increasingly important role in society. A few years ago, using a smartphone to get driving directions seemed rare. Now it’s commonplace. A few years ago, searching for information on the Internet was the exclusive domain of information brokers. Now it’s accessible to everyone. The same will happen with augmented reality. It’s going to be common in smartphones and tablets, and possibly wearable computers as well such as smart glasses. Virtual reality is a niche offshoot of augmented reality because virtual reality requires blocking out the real world while wearing a headset strapped to your face. Augmented reality will be as simple as looking at your smartphone or tablet, which people do already. Then augmented reality will be even more important when it appears in smart glasses. The world is going to appear as reality and augmented reality. Any company that fails to see this might as well keep advertising in the Yellow Pages. To read more about how various companies are using augmented reality, click here. What it is: Apple has signed three shows to develop exclusive content, but will it be enough? Apple TV is nothing more than a box that connects the Internet to a TV screen. Because of that, it’s nothing different than any rival products. That’s why Apple is delving into original content programming such as a morning drama starring Jennifer Aniston and Reese Witherspoon, along with a revival of the Amazing Stories story anthology series. The goal is to offer exclusive content to draw subscribers in like Netflix, Hulu, and Amazon have all done. The problem is that TV is fading in significance. In the old days, people only had three channels to choose from (ABC, NBC, and CBS). Then cable networks arrived and soon people could watch dozens to hundreds of channels filled with content. However, fewer people are watching TV shows when they’re scheduled. Instead, people are watching TV shows when they have time to watch it. They can also binge-watch shows to watch several shows in rapid succession, which is something not possible with traditional TV. So the whole idea of a TV schedule is obsolete. We don’t need shows to appear at a particular time any more because people can choose what they want to watch and when they want to watch it. More importantly, according to “Streampunks” author Robert Kyncl, YouTube has pointed the way towards the future of video. It’s about creators and content. Specifically, older people watch TV and longer people are watching video content on smartphones and tablets. That means the future of Apple TV isn’t to mimic HBO or NBC, but to follow the path outlined by YouTube. Instead of offering shows at a fixed schedule, Apple TV needs to offer shows with episodes people can choose to watch. Since many people are watching video on smartphones and tablets, there’s also a demand for short videos. Instead of sitcoms lasting 30 minutes or dramas lasting an hour, what about shows that offer smaller, bite-size chunks in 10 minute segments? That would make them perfect to view on smartphones and tablets whenever people have time. The future of video watching is on mobile. Sitting at a TV is fine, but the most dynamic growth in video is on mobile that YouTube has captured. If Apple TV wants to achieve massive success, they should be mimicking YouTube instead of HBO because the future is short videos, not traditional TV shows that fit in half hour or hour-long segments that existed only because of the time schedule of traditional TV networks. When you had a fixed schedule of what time shows aired such as 8:00 or 9:30, you had to have shows fit within 30 minute or hour long time blocks. Strip away this fixed schedule and there’s no reason you can’t have one show that offers 20 minute segments, another offering 10-minute segments, and still another offering 1.3 hour segments. Time is no longer limited to 30 minute blocks, and that’s what Apple needs to understand and embrace. Right now, it seems like Apple TV is simply following the path of traditional programming, which means their original content will likely b e in 30 minute or hour long segments. If so, that means Apple is missing the real revolution, which is no fixed time length for shows. When Apple TV offers shows with varying lengths to fit the demands of audiences, that’s when Apple TV may finally become a leader instead of a timid and late follower.